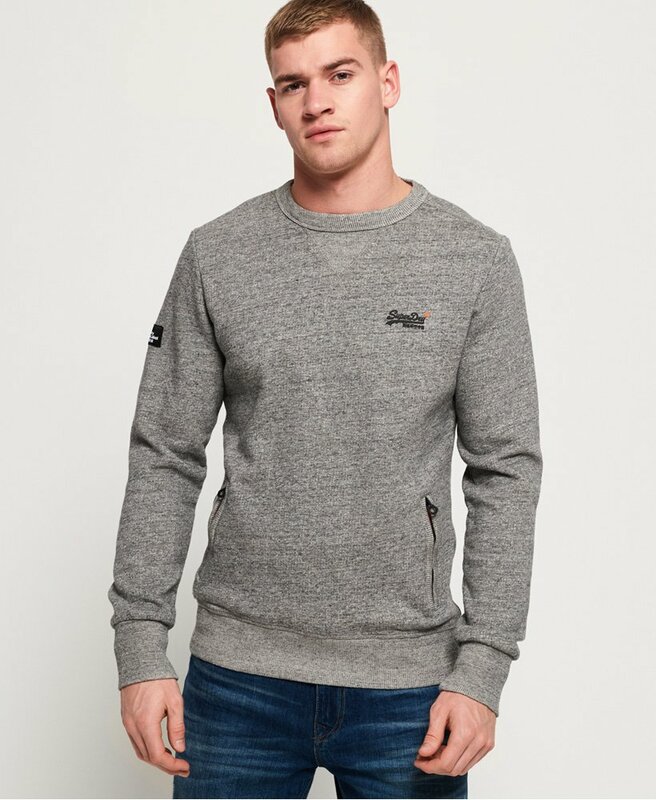 Superdry men’s Urban crew sweatshirt from the Orange Label range. Keep on trend this season in the Urban crew sweatshirt, an easy to style, comfortable sweatshirt that you’ll be reaching for again and again. This sweatshirt features a crew neckline, two zip pockets and ribbed trims throughout. To finish, this sweatshirt has been decorated with a Superdry logo on the chest, a Superdry patch on the sleeve and a black tab in the side seam.